We think this watch has attitude. 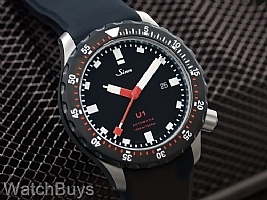 Sinn took all that's great about the best selling Sinn U1 and added PVD/DLC black bezel. This bezel has been fully Tegimented to 1,500 Vickers, or more than 7 times the hardness of standard stainless steel. The U1 SDR case is made from the same steel that is also used in the construction of the outer hull of submarines. The steel was procured by Sinn from a steel supplier to Emden GmbH, one of Germany's North Sea shipbuilding yards who construct submarines from the very same steel. The international testing lab of Germanischen Lloyd has tested the U1, and determined that the watch can be certified as water resistant to 1,000 meters. This same firm tests submarines for their ability to withstand the effects of underwater use. Other features include sapphire crystal with anti-reflective coating, and silicone rubber strap with double push deployant buckle and fliplock safety clasp. "First time buying a Sinn"
"Tough and easy to read"
Verified Owner Comments: This watch is an outstanding value. I have owned a number of watches from Rolex, Breitling, Omega but the Sinn U1 DSR is in class by itself. From the design and function to the craftsmanship of the Sinn U1 there is no better bargain out there. Backed by the excellent customer service of Watchbuys, you cannot go wrong!! Verified Owner Comments: This watch has been outstanding. "The Beast Deal on the Planet!!" Verified Owner Comments: It is amazing how the bezel changes the entire look. 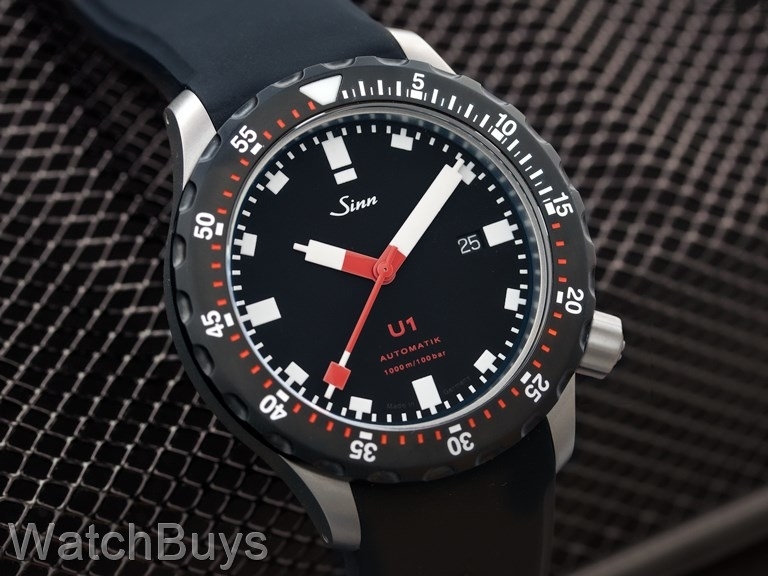 I owned a Sinn U1 and can say that this version just has a different appeal. Very nice move by Sinn. Now it's time for the U1000 SDR.